Farming is the backbone of the world, and Fairtrade is a global campaign that supports small scale farmers and workers. Fairtrade is about better prices, decent working conditions and fair terms of trade for farmers and workers. The sad truth is that these people that these people who grow the food that we take for granted often struggle to feed their own families! When people are paid a fairer price, they can have more control over their lives when times are hard, and worry less about how they will feed their own. Whether it’s the extra cash in their pockets or being able to expand their farms to grow more food to eat, Fairtrade means many farmers and workers are able to fulfil a basic human need – to put enough food on the table for the people they care about, all year round. Fairtrade Fortnight gives you the opportunity to connect with the people who grow the produce that we all depend on and make sure that they are supported too. Fairtrade Fortnight is the highlight of the year for shoppers, campaigners and businesses in the UK. During Fairtrade Fortnight, campaigners will be encouraged to inspire Big Fairtrade Breakfasts in their community – and wake others up to the challenges facing farmers and workers. 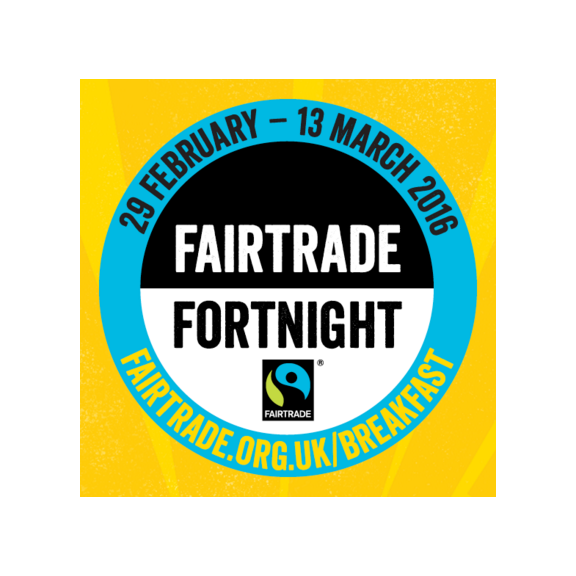 Campaigners up and down the country will hold hundreds of breakfast events as part of Fairtrade Fortnight 2016 and the #YouEatTheyEat hashtag will be used to spread the word on social media. For more information on how you, your business school or college can get involved please visit http://www.fairtrade.org.uk/breakfast and let's stand up for farmers!